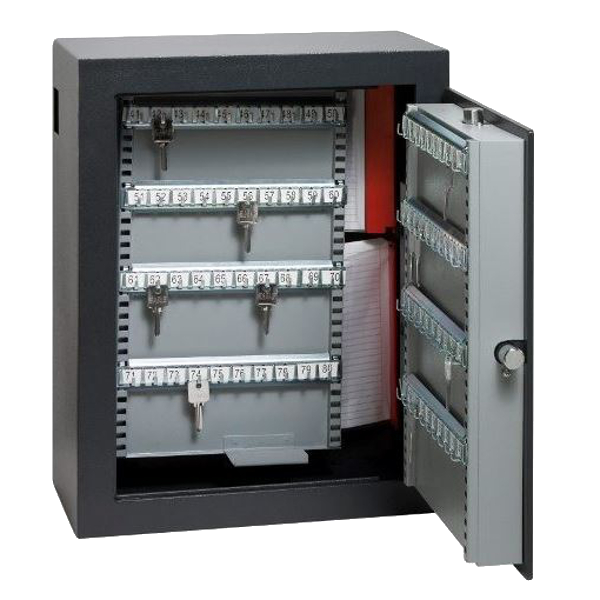 The KS range of Key Cabinets from Burton Safes are an ideal solution for those who need to store large numbers of keys neatly and securely and they are available in a variety of capacities, all of which are supplied with a 2 yr manufacturer’s guarantee as standard. 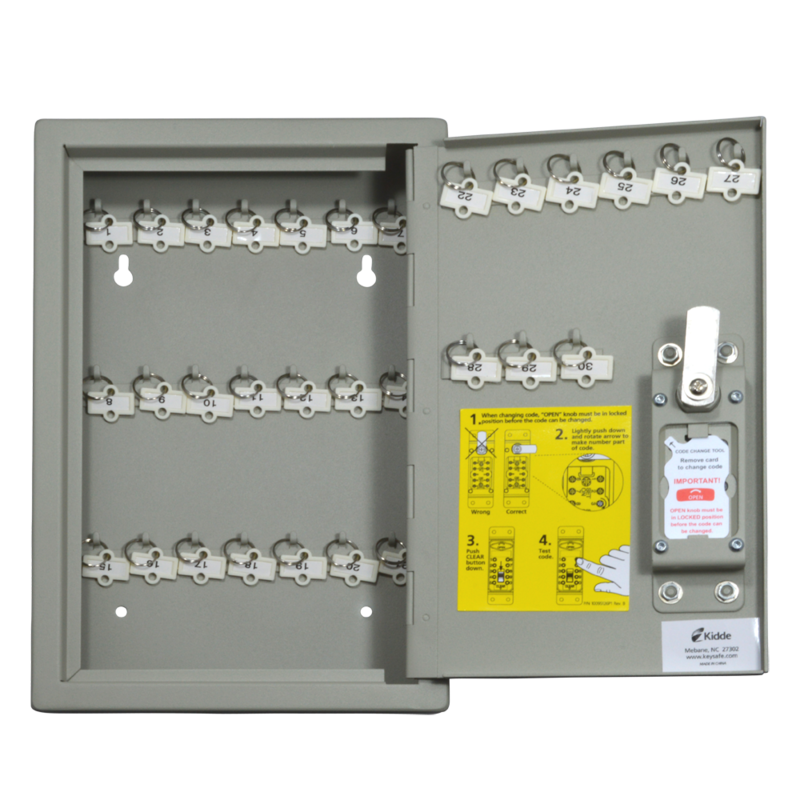 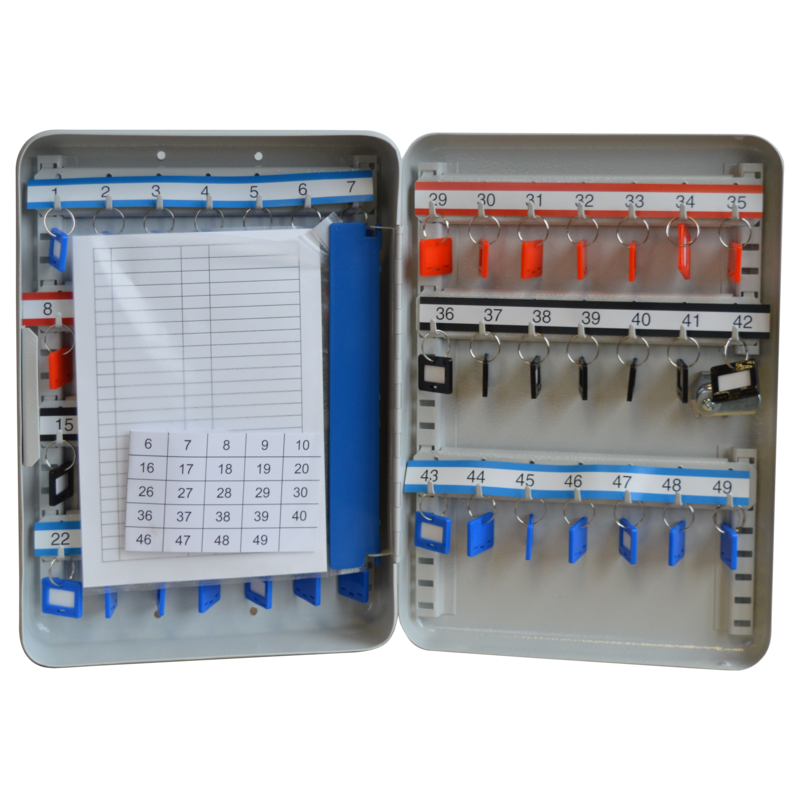 The cabinets are supplied complete with key tags and numbers for convenience and the racks are height adjustable to suit individual requirements. 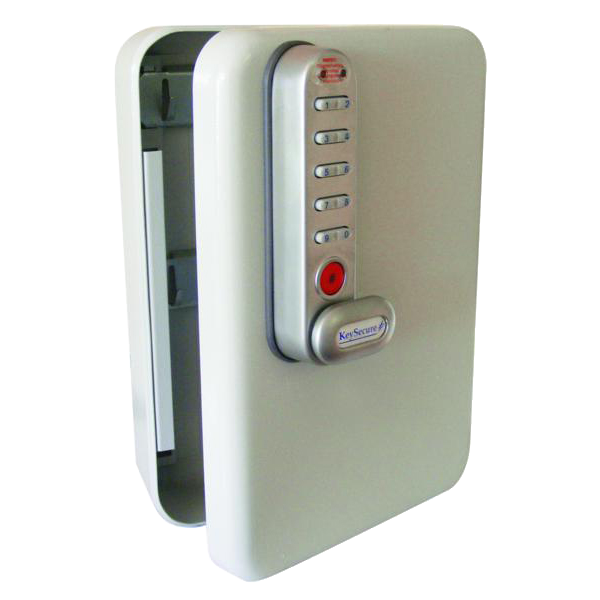 The solid steel construction offers durability and the unit is fixed at 4 points from the back for added security. 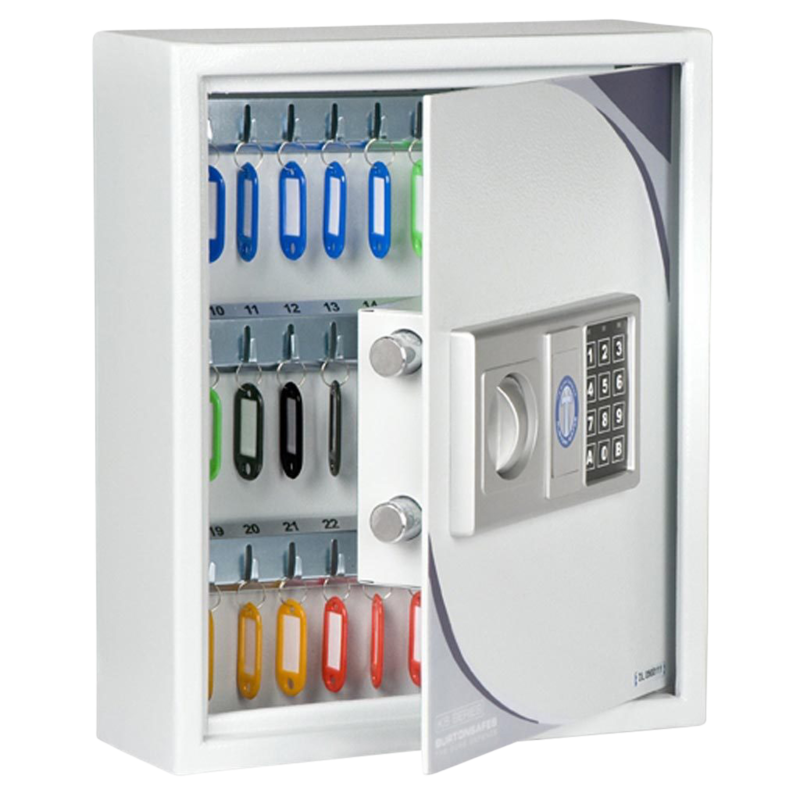 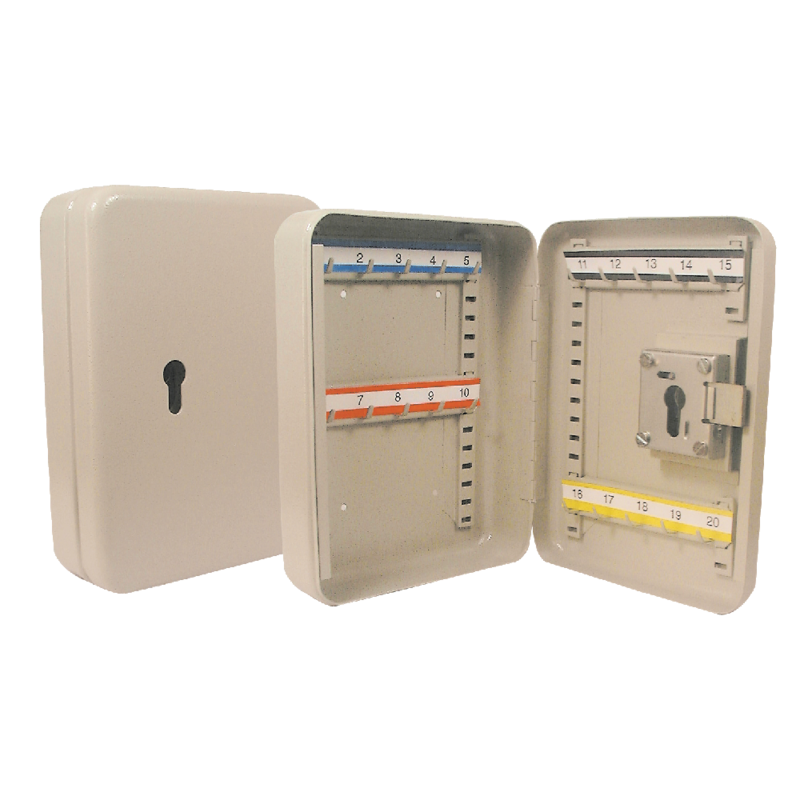 The Chubbsafe Epsilon secure key cabinet offers burglary protection for keys. 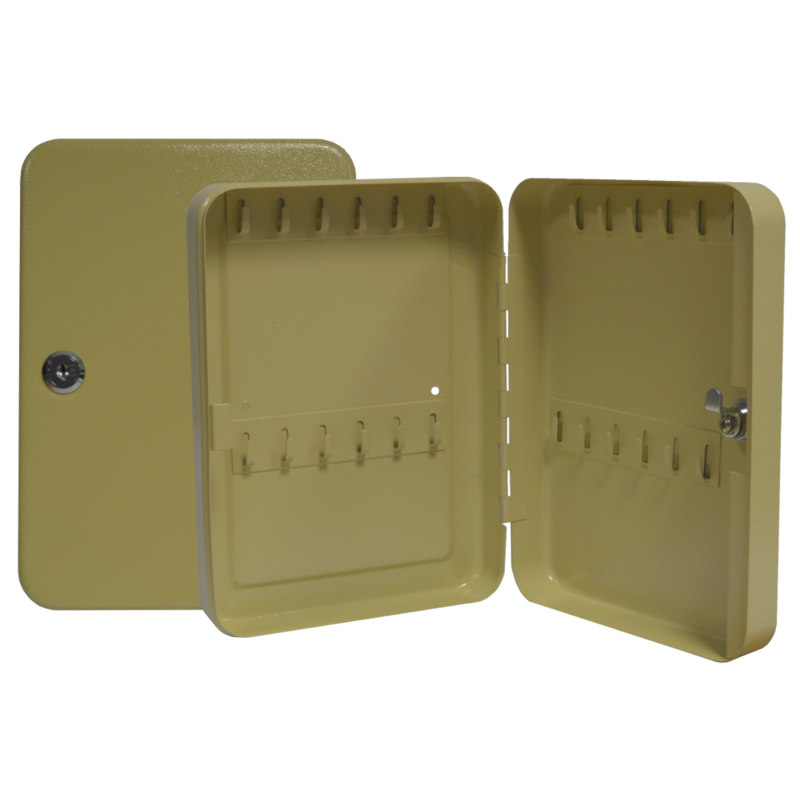 Epsilon cabinets also have a key deposit feature on the side of the safe which allows keys to be securely deposited inside, once inside, an anti-fishing plate prevents their removal. 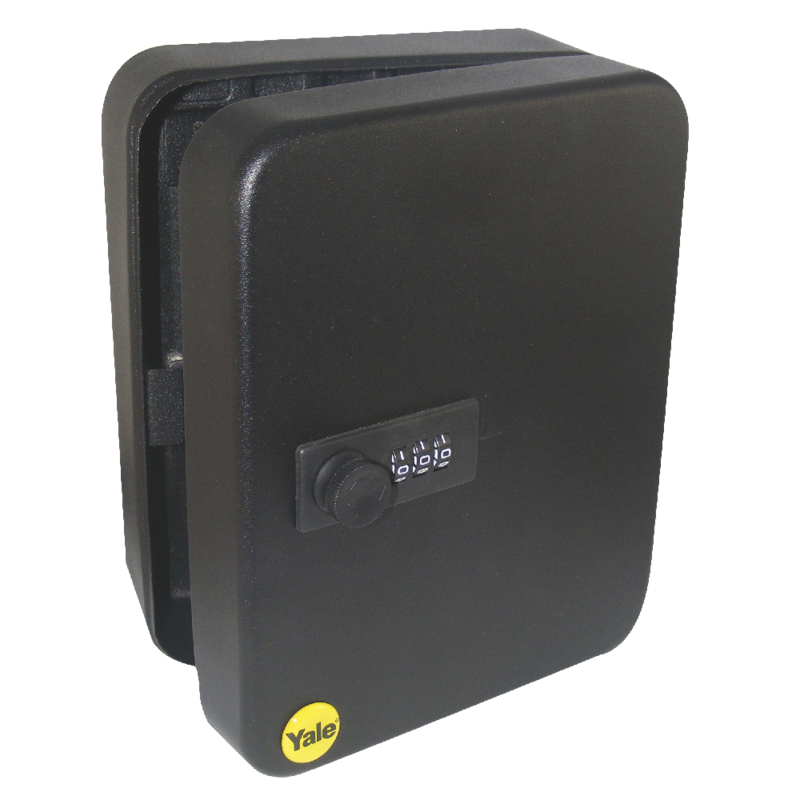 A four point anchoring kit is supplied so the safe can be securely rear fixed to resist unauthorised removal once installed. 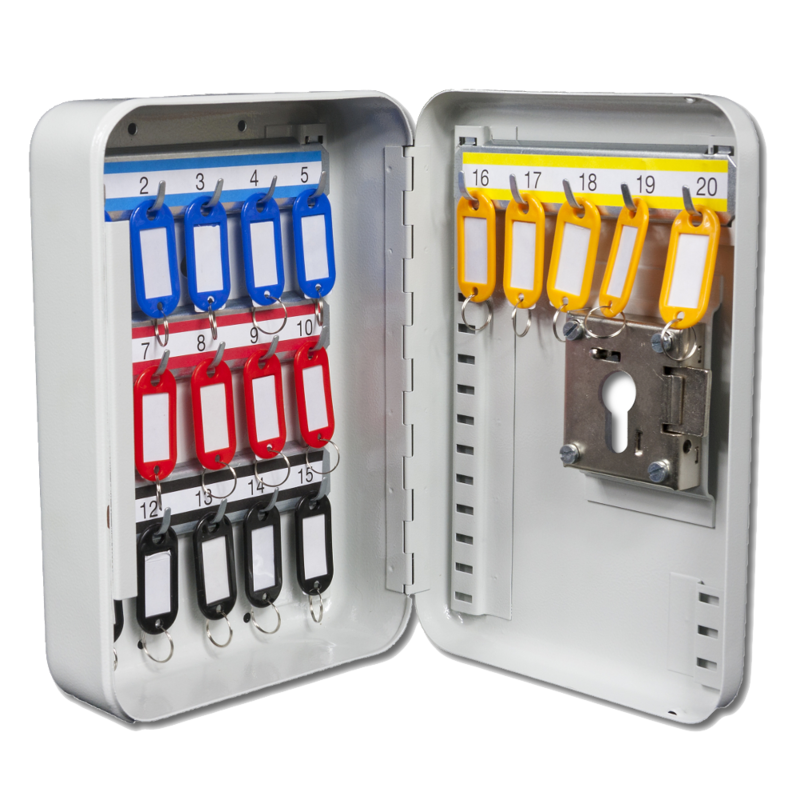 Keys are stored on key hooks which, thanks to internal ladder racking, can be adjusted to accommodate keys of different lengths. 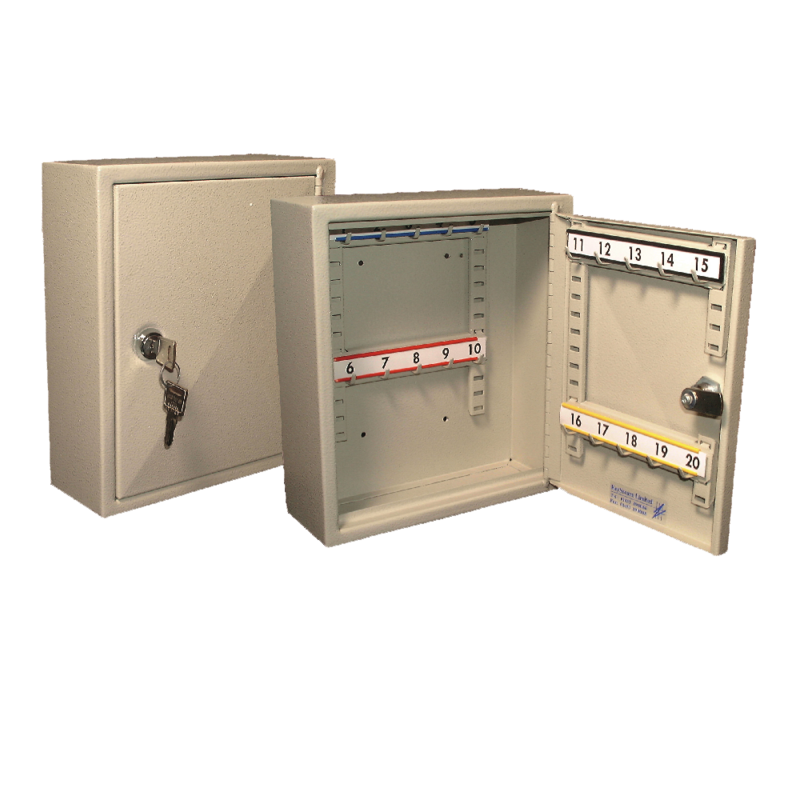 Store your keys safely in our lockable Key Cabinets. 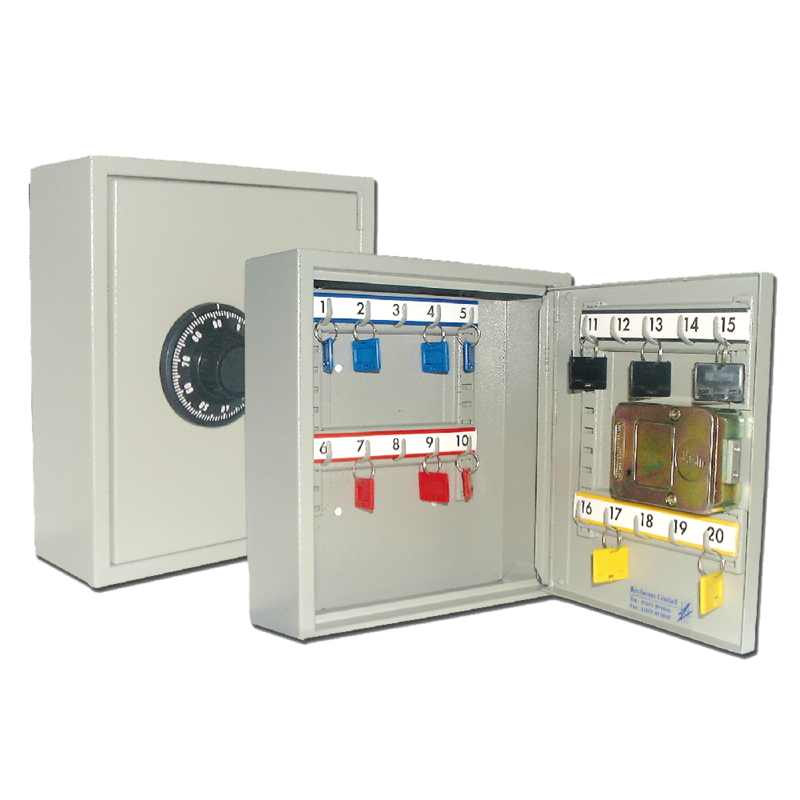 Ideal for medium to large offices, factories, hospitals, universities, building sites, etc.